Thelma Bishop is something of a living legend in Turkey. The Stockport local received a hero’s welcome from Culture and Tourism Minister, Numan Kurtulmuş, after returning a 4,500-year-old jug she’d initially been considering selling. Back in the 1960s, Bishop bought the jug as a souvenir in the ancient city of Ephesus. She decided to return it after having it valued and being told by an expert that it was a actually a Bronze-age urn, that is considered cultural property. As a sign of gratitude, the Briton and Jason Wood, the ceramics expert who helped her in the return process, were presented with gifts and invited to spend a week in Turkey. 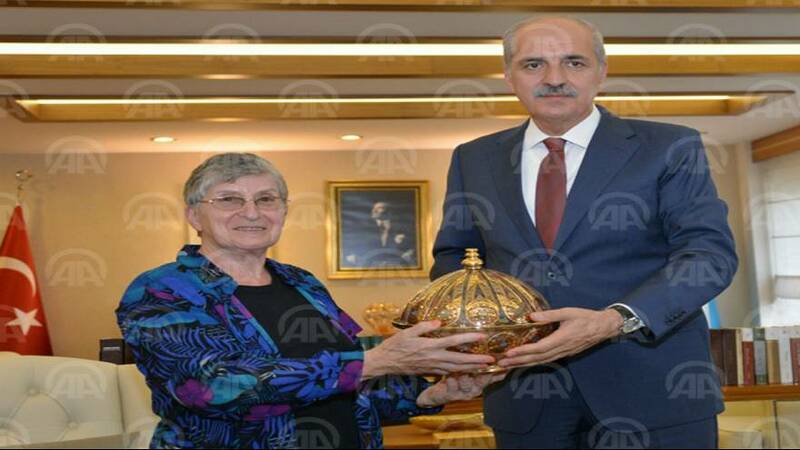 While there, she has seen the urn on display in the Museum of Anatolian Civilisations in the capital, Ankara. It’s believed the jug had been stolen from a grave and sold on afterwards. If Bishop had then re-sold it as she’d planned, she would have, inadvertently, been breaking a Turkish law dating back to the 1880s.